Before watching this documentary, here is just about everything I know about the Allman Brothers Band: formed by Duane Allman on guitar at the start, he died young in a motorcycle accident; his brother Gregg, also in the band, married Cher, fathering Elijah Blue and the union ended in a messy and public divorce; and the last is the omnipresent WOLDies die-hard “Ramblin’ Man,” ironically the band’s biggest and lasting hit that was released after Duane’s demise. But you see, that’s what’s great about this British series, at over 2 hours long, you can learn a lot in relatively a short amount of time. Of course, this documentary is not only about the Allman Bros, per se – at least not the first the first hour – but rather about the rise of Duane Allman from just a minnow in Daytona Beach, FL (remember, Tom Petty is also from F-L-A, as Freddie Cannon once sang). Though only living to 24 years until wasting his life away in a motorcycle accident, he is given the credit for practically single-handedly creating Southern Blues Rock, and highly influencing the likes of Lynyrd Skynyrd, The Marshall Tucker Band, and Talking Heads. Okay, I’m kidding about the last one. While long guitar virtuoso freeform guitar has never been my cuppa, I know how to respect the talent, and I have no argument with someone towards the end of this documentary commenting that Duane Allman deserves to be up there with the likes of Hendrix and, well, pick a Yardbirds guitarist. His influence is felt in what has become known as Southern Rock, but I would also argue that there are probably a lot of post psychedelic blues-based bands that learned a lick or two from ol’ Duane. 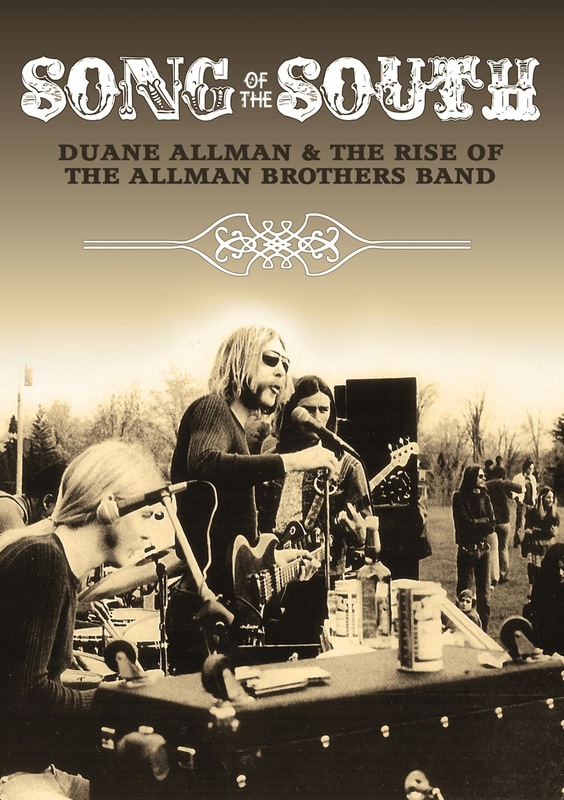 While there is some detail in the second half about the Allman Brothers Band [ABB], I was more intrigued by the earlier period of Duane’s life, during the 1960s, flittering around in bands like his first in 1961, the Uniques, the Escorts, and the Allmen (or, sometimes, All-Men), where he grew his musical chops. The music of choice for Duane was the Blues, as the number of blues clips shown in the documentary attest to his influences. For the acid (nascent Southern) rockers of his 20s and especially the guitarists, Blues was the backbone as much as rock and roll. Yes, there was quite a bit of country mixed in there, especially with pre-ABB superstars like the ‘Dead (who combined all those sounds into what would be called “Americana”), but artificial substances would affect nearly all the musicians at the end of the ’60 and into the ‘70s. I give you Janis, for example. Duane and his band the Hour Glass moved to the West Coast pre-ABB at the hippie high-point (pun intended); there are a couple of albums released by that collective, influenced by the counter-culture. The Hour Glass was especially interesting to me, because they sound more Left Coast than Southern Bayou, leaning towards Chicago and Blood, Sweat and Tears (though an overhanded producer is credited with that horn sound more than the band themselves). While brass and rock’n’roll has always been a bit on an oxymoron to me, the clips they play here didn’t sound too bad. Well, no worse than the two bands I mentioned, anyway. After an attraction to Taj Mahal’s sound, Duane learned slide guitar, and then moved on to the infamous Muscle Shoals Studio in the Deep South, where he honed his talent further by backing up numerous soul and blues musicians. For the Allman fan, I’m not stating anything new, and for those who are Allman-curious, there is a whole lot more detail I’m not giving way. I found it interesting that not only was blues an influence to the band, and especially Duane, but that he also had a later dedication to jazz, which was introduced to him by ABB drummer Jaimone Johanson. That helps explain some of the wild Miles and Coltrane flairs he had on incredibly long jams (their double-sided At the Fillmore LP had on average two songs per side, definitely giving the Dead a run for their money). One moment I had joy with was the discussion of how Duane influenced Derek and the Dominoes when he briefly toured with them, taking “Layla” – one of the early ‘70s best rock period songs – from a ballad to what it became (of course, Clapton would have a hit with it again decades later in its slowed down, acoustic version). Again, not old news, but it’s always a joy to hear that song, even for a snippet. The Chrome Dream formula is followed to a tee, with short, under 30-second clips of songs (both live and played over purchased b-roll, such has having images of cars and roads for “Midnight Rider,” the ABB’s first hit), talking head interviews with musicians and recording studio engineers who were there, and biographers and music historians who talk about second-hand stories and the band’s influence – as usual, no voices of women anywhere; not even wives are mentioned, let alone talking. Of course, Southern Rock is not exactly known for being a bastion for women musicians, but good ol’ boy drinkin’ and carousin’ – and a wonderful narration by Thomas Arnold. There is also a 1970 radio interview with Duane heard in snippets full of musician-talk soundbites like “man” and “cat”; it’s the only time we hear his voice when he’s not singing. The one thing I would change if I could, given what it is, is I would put the person identification sporadically throughout, rather than only the first time the person talking is shown. Perhaps this is an assumption that the audience would know who they are? This is a minor pet peeve of mine. In fact, there is more, detailed information I would have liked to hear about, such as Duane’s OD in October 1970, which is only briefly touched on in one of the extras. The one oddity I found is that nearly everyone on here, while discussing the importance of the other members, such as Gregg and Dickie Betts, and how they were as talented in some ways as Duane in their own rights, the consensus seems to be after Duane died, the ABB when downhill afterwards. I find this weird because, as I said, the one song that is the most identifiable with the band, Betts’ “Ramblin’ Man,” was recorded after Duane’s motorcycle accident. The song is not mentioned here, even when talking about the “decline” of the band after Duane’s death. As a music historian myself, it’s always good and interesting to fill in some of the gaps of my knowledge base (hey, punk is mentioned once at the one hour-19 minute mark!). I’ll probably never purposefully purchase an ABB slide, as I don’t have one in my collection now, but I do feel more informed about the topic. That’s one of the things Chrome Dream and Prism Films is best at, yawl.